We specialize in preparation off many different types of alloys,wood,or stone, to the surface preparations desired, before applying finish. Using high/low pressure with abrasive media to achieve a clean finish in a little amount of time. 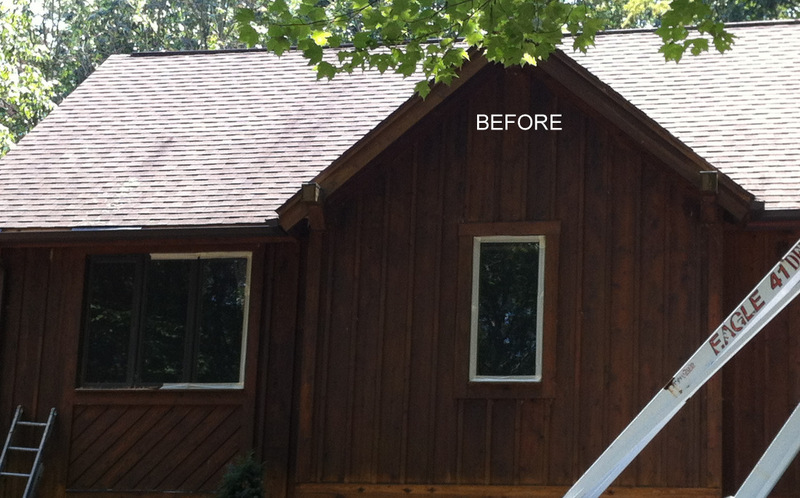 Blast white wash or old finish off of Log Homes so it can be refinished for a newer look. Remove paint, rust, clear, putty or other coatings off of steel, aluminum, cast iron, sheet metal,fiberglass,etc. We even clean off charred or aged stone and brick for a brighter look. A video of me sandblasting.